Let’s cut the fluff and get right to it. Listen. If you’re just firing out generic offers to your text marketing list, you simply won’t survive. If you use text marketing as an echoing platform, your opt out rate will drastically increase. Let’s review an example, just to make sure you understand the power of exclusivity. Samantha owns an online clothing store. She currently uses social media and email as her two main promotional outlets. 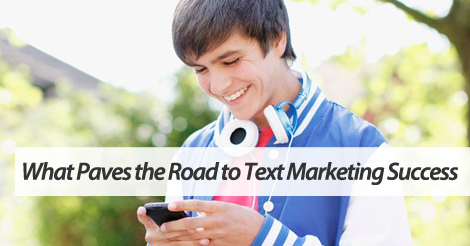 Last week, she finally decided to give text message marketing a try. She set up an irresistible opt in incentive. and surprisingly enough, rakes in 50+ new subscribers a day. Although the opt in incentive is appealing, Samantha doesn’t understand the importance of exclusivity in the campaigns following. A month later, she fires out this text message. Happy Tuesday! Use code TEN at checkout for 10% off your entire order, no minimum. Expires 6/17. Now, this looks all good and fine, but then ten minutes later, she posts this on Facebook. We’re running a 10% off promo!!! Use code TEN at checkout. Then, to make matters worse, an hour later, she fires out a similar email. Want 10% off your order? Use coupon code TEN at checkout. Now, it doesn’t take a rocket scientist to figure out where the problem is here. Because Samantha is duplicating offers across platforms, her text marketing subscribers think: “Why bother?” They quickly unsubscribe, and Samantha is left with nothing to show for her efforts. Let’s rewind. What would’ve happened if Samantha did things a little bit differently? She makes one simple tweak that changes the entire outcome of her subscriber redemption and engagement. 0% off storewide – but here’s an exclusive bonus for our VIP subscribers. Enter code 10PLUS at checkout for 10% off, plus free shipping. Expires 6/17. Partner up with top text message marketing provider, SlickText.com. Give us a ring at 1.800.688.6290 or head over to the pricing page and sign up for a free plan. Our educational resources are second to none, and our feature rich platform boasts extreme usability and innovative functionality. As a small business owner, you need to prioritize marketing methods that work for YOU.